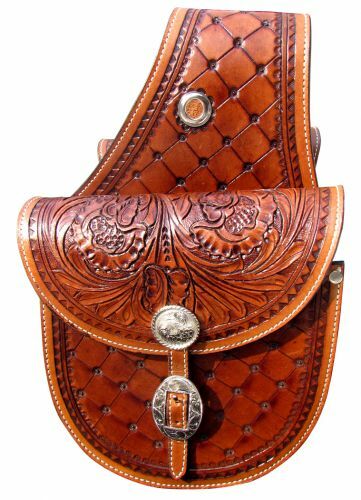 Showman ® Patchwork and floral tooled saddle bag. This round bottom saddle bag features double stitched medium oil patchwork and floral tooled leather. Accented with engraved silver conchos and buckles. Measures 3.5" x 10.5" x 6.5".